This is only the third published history, uniquely on the town of Lytham (i.e. not including St.Annes-on-Sea). 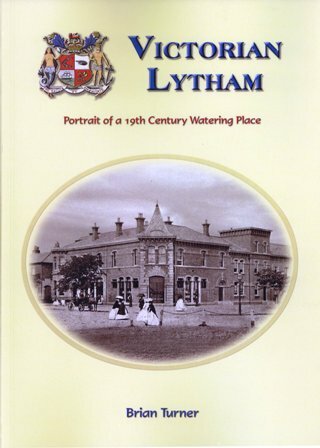 The first history of Lytham to be published since 1946! 1837-1901 were the formative years of modern Lytham and the years which witnessed the greatest changes, giving the town its unique identity. This not a rehash of previous books – it is the result of many years research and a great deal of new information has come to light. By excluding St.Annes and narrowing the period covered to the 19th Century, Brian has been able to go into greater detail than is normally possible, whilst at the same time keeping the book interesting. The book is well-illustrated with both colour and monochrome images which are relevant to the subjects discussed. There are paintings, maps, plans, engravings, contemporary & modern photos and ephemera most of which have never been published before. Unlike some books, here, the captions are both interesting and informative. The author has made full use of modern publishing processes and the result is a well-structured and well laid-out book which is a joy to read.